All over Estonia erratic boulders have been used in prehistoric times (during the stone age) for some sort of purpose, presumably some pagan rituals. 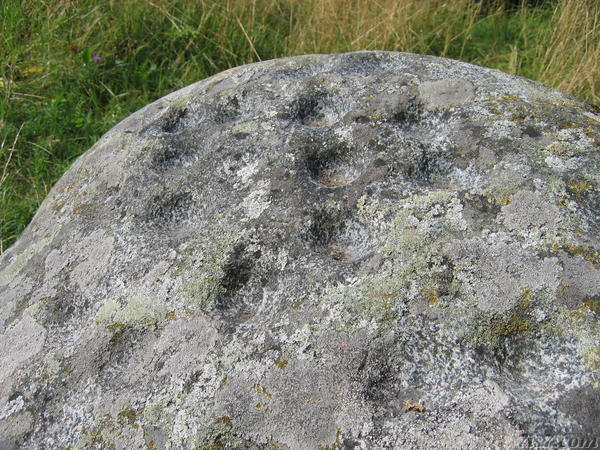 The boulders bear markings in the form of small dimples such as this one in Tumala on Saaremaa. No one knows for sure what the purpose of the dimples was. Location: 58°32'6"N 23°2'30"E on: Google Maps, OpenStreetMap, Maa Amet.